New research, led by scientists at the University of Southampton, has found that neurogenesis, the self-repairing mechanism of the adult brain, can help to preserve brain function in neurodegenerative diseases such as Alzheimer's, Prion or Parkinson's. The progressive degeneration and death of the brain, occurring in many neurodegenerative diseases, is often seen as an unstoppable and irrevocable process. However, the brain has some self-repairing potential that accounts for the renewal of certain neuronal populations living in the dentate gyrus, a simple cortical region that is part of the larger functional brain system controlling learning and memory, the hippocampus. This process is known as neurogenesis. While increased neurogenesis has been reported in neurodegenerative diseases in the past, its significance is unclear. Now a research team, led by Dr Diego Gomez-Nicola from the Centre for Biological Sciences at the University of Southampton, has detected increased neurogenesis in the dentate gyrus that partially counteracts neuronal loss. Using a model of prion disease from mice, the research identified the time-course of the generation of these newborn neurons and how they integrate into the brain circuitry. While this self-repairing mechanism is effective in maintaining some neuronal functions at early and mid-stages of the disease, it fails at more advanced phases. This highlights a temporal window for potential therapeutic intervention, in order to preserve the beneficial effects of enhanced neurogenesis. The study, which is published in the journal Brain, also involves Professor Hugh Perry and Dr Mariana Vargas-Caballero from the University of Southampton, as well as the Universities of Hamburg and Valencia. 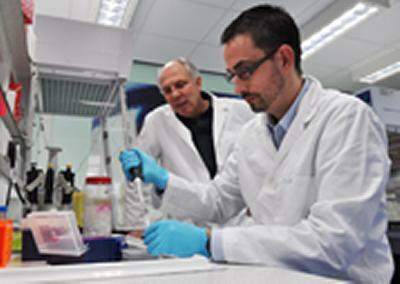 It is funded by the European Union Seventh Framework Programme and the Medical Research Council (MRC).